Halloween 2014 – On a SERIOUS budget! After my 25th birthday party, I decided to make my credit card take a sabbatical, because with December holidays so close by, I was sure the magnetic band would fall off at some point. The thing is, Halloween was the following week, and my friends and I had spoken about throwing a party at one of our houses, and since I hadn’t done anything for Halloween for the past three years, I really had to make it happen this time around. On the other hand, my brother told me he wanted to dress my nephew up as Bam Bam because at his endearing 10 months, all he does is hit stuff. I looked up Bam Bam costumes online, but I wasn’t a huge fan of any of them. Naturally, I decided to make it myself! Both costumes came out great, and all for under $20! We had agreed on doing a Superhero theme for the group, and from the get-go I decided to don the Black Widow attire for the night, partly because I was pretty sure I could pull it off without spending a single dollar. 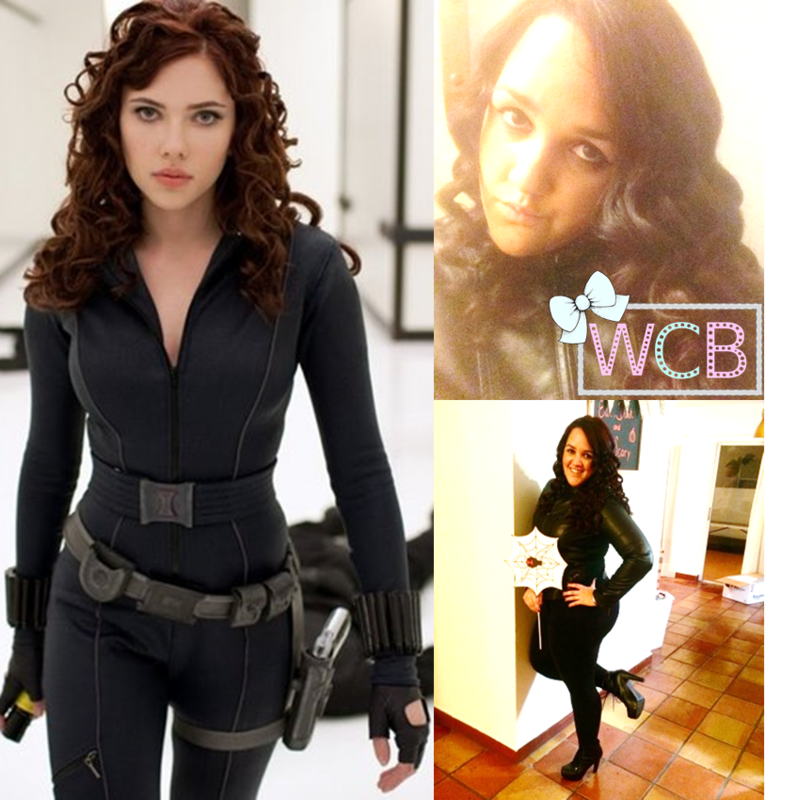 I wore black leggings, a black leather jacket, black booties (all staple items in any woman’s closet), and I gave my hair a serious curling to replicate her hair style in Iron Man 2 – but what really pulled it all together was the pose! There’s a still of Scarlett Johanson mid-fight scene where she’s stretched out for a second before her next move, and I knew I had to replicate it to validate me as Natasha Romanoff for the night. 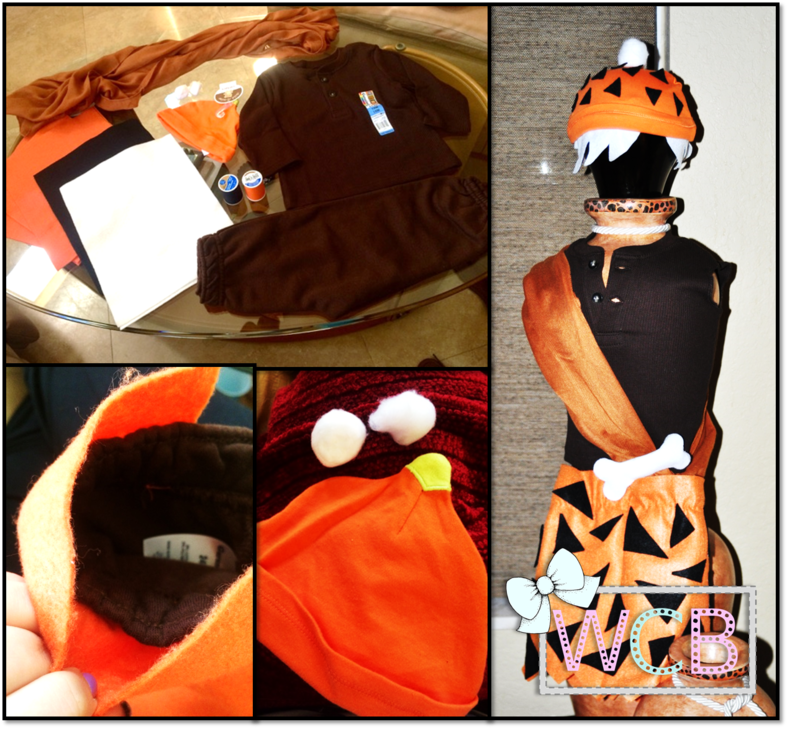 I cut off the pants’ bottoms, sewed the orange felt around the waist line, cut off black triangles of felt and hot glued them to the bottoms, cut off the shirt’s sleeves, and glued little black triangles to the hat. I also used two cotton balls for the top of the hat, and I cut off two bone shapes from the white felt and filled it with some more cotton balls to make it look like a fuller bone. I glued the bone to the scarf, and voila! The costume was a total success. The fabric was fresh and stretchy enough for my nephew to play around in, and everyone was happy. And now, for the cutest Bam Bam in history (who couldn’t keep his hat on straight… but who can resist that smile?!) Ta-da! To close off, I had recently taken advantage of a JoAnn cardstock paper sale (5 for $1.00), so I had pretty much every color in stock. I used these to make some quick superhero themed photo booth props for the party. POW! Two costumes + photo booth props, less than $20! Halloween 2014 on a SERIOUS budget = success!